Bologna is quite possibly the most underrated city I’ve ever had the pleasure to visit. If this is your first time to Bologna, its Italian nickname “La Dotta, la Grassa e la Rossa” may seem curious, but it sums up the very best of what this central Italian city has to offer. In short... "The Educated, the Fat, and the Red"! There are so many exciting things to do in Bologna and getting a feel for all three is a great place to start. “La Dotta” honors the University of Bologna, the oldest university in the Western world. “La Grassa” refers to Bologna's renowned cuisine, some of the best Italian food in the world. And “la Rossa” for the stunning red rooftops made of clay (and some say its left-leaning politics). Bologna lies in between two of Italy's most visited cities, Venice and Florence, and roughly an hour from each by train. And yet it remains relatively unknown by tourists on their quest to see Italy's most iconic landmarks, all in 10 days. This is precisely the reason you should go! Our first time to Bologna was during the high-season month of September (May is the other heavy travel month) and I was struck by how uncrowded it felt. Sure I saw tourists, but the locals intermingled with us so seamlessly we never really noticed, which gave Bologna a very local, authentic feel. 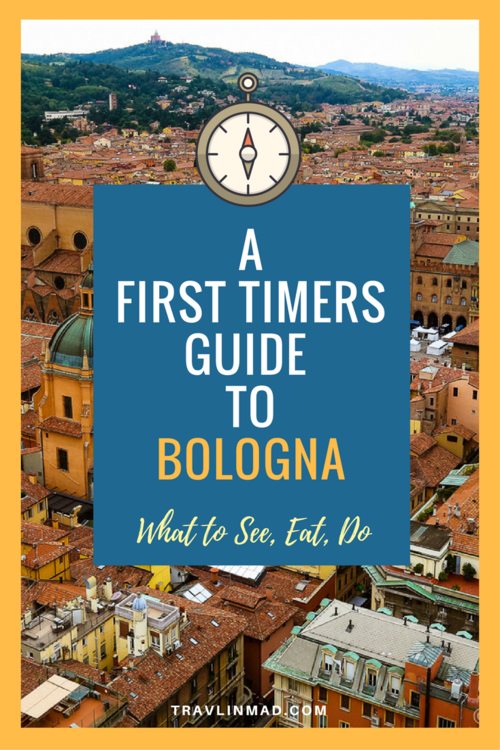 If you’re wondering about all the things to do in Bologna, or if you’re planning your first trip, this First Timers Guide is for you! The easiest way to get around Bologna is on foot, and it's such a pleasure to do. Over 24 miles of covered medieval porticos - beautiful architectural structures worthy of seeing on their own - line the streets around the Centro Storico (historic center) and invite casual strolling amidst the Bolognese people on their way to work or enjoying an afternoon cappuccino or gelato. Walking is a great way to see the city. We felt very safe and secure walking with our camera equipment out in the open, window browsing and sightseeing. If you need a break from walking, Bologna also has a convenient bus you can hop on to get around. Purchase a Citypass at the Infopoint in Piazza Maggiore that’ll give you multiple trips around town. Bikes and Vespas also look fun, though as a tourist, I'd recommend staying out of direct traffic on your first trip. Bologna is a working class city with a laidback Italian lifestyle: breakfast starts the day off early and lingers until late morning. Lunch begins around 1pm; Aperitivo starts between 6 and 7pm; then dinner commences at 8. La Grassa! If you’re unfamiliar with the "Aperitivo" - the Italian Happy Hour - make time to go each day. Local bars offer food with your libations, either for free or just a few euros. You may even opt to skip dinner altogether. A dedicated food tour is a great way to get to the heart of Bologna, and we took two of them on our first trip. Taste Bologna is a fantastic Bologna food walking tour given by a local Bolognese guide that winds you through the historic city noshing on some of the best foods Bologna is known for. You can book this Food Tasting and Walking tour here! Our second Bologna food tour with Italian Days took us out into the rural hills of Emilia Romagna for in-depth factory tours and tastings of parmigiano reggiano cheese, traditional balsamic di Modena, and delicious prosciutto di Modena. Book the "Food Experience" which includes an incredible feast, or as they call it — the "food coma"! Both tours gave us such a great overview of Bologna inside and out, and we recommend them highly. If you love traveling just for the food, there are so many awesome foodie things to do in Bologna, you could build your whole itinerary just around that! Bologna is a city that comes alive at night, with its quiet streets on the outskirts leading to lively piazzas. The miles of porticos are fun to stroll during the day, but be sure and stay out long into the evening. Throughout the historic center, street lights illuminate every nook and cranny with glowing shades of orange and gold, and cast intriguing shadows that stir the imagination. Walk around and you'll see practically everyone in the city is outside - socializing until late, dining even later, or arm in arm on a quiet evening stroll. If you're looking for gorgeous photo ops, bring your tripod. Bologna is stunning at night! The heart of Bologna and the center of action is the Piazza Maggiore. The huge piazza is a public space facing centuries old medieval buildings on all sides including the main cathedral, Basilica di San Petronio, and City Hall. Grab a morning espresso and hang out with the crowds. On the northeast corner of the Piazza Maggiore you'll find the Fountain of Neptune, one of the symbols of the city, and the Biblioteca Salaborsa, the Public Library. Be sure and see the very moving Sacrario dei Partigiani, a memorial to the partisans of the second world war on the wall outside the entrance, the same wall where hundreds of locals were executed by the Nazis during the occupation. Just steps from the Piazza Maggiore (look for the huge arches) is the Quadrilatero, the ancient footprint of the city and the oldest market in Bologna. One look at the narrow cobblestone streets and bustling food and wine scene will have you stalking the cafes for the perfect table to take it all in. Go for Aperitivo! Did you know that Ferrari, Lamborghini, Ducati, Pagani, and Maserati are all based right here outside Bologna in the Motor Valley? A pretty awesome find for motorheads - excuse me, performance motor enthusiasts! Each of these brands welcomes visitors for factory and/or museum tours, and even invite you to test drive some of them for a price (and most assuredly a valid drivers license). Enzo Ferrari, the man behind the iconic Ferrari brand, hailed from Modena and you can visit two museums about him and the 12-cylinder sports car that made him famous. Combine it with a visit to the home of Luciano Pavarotti — one of Modena's legendary sons — on a Ferrari and Pavarotti Land Tour. Visit the Tourist Office on Piazza Maggiore for help in arranging a tour, or check out their Motor Tours at bolognawelcome.com. They can combine many of them in one tour! For an interesting full day tour, consider taking the bestselling Food and Ferrari Tour, which includes a food tour of local producers of Parmesan cheese, prosciutto ham, and balsamic vinegar, a traditional 4-course lunch with wine, and a tour of the Ferrari Museum in Maranello with your guide! At the end of Via Rizzoli, you will find the two towers - Torri degli Asinelli and Torri Garisenda - the striking symbols of the city. During medieval times, rich families demonstrated their power by constructing their own tower within the city, all striving to be the tallest and most grand. At one time, there were as many as 125 towers and the city still has around 25 towers today. These two towers are the tallest ones that still remain from that day, and the Asinelli Tower is the only one available to climb. For 3€, you'll have a great experience and the best possible view of Bologna! This hidden little gem may be somewhat overrated, but it's worth the hunt to find it, getting off the main drags to quieter streets. Bologna continues to surprise you around every corner - another reason to discover it on foot. Around Via Piella, you'll find this sweet little window - la Finestrela alla piccola Venezia (the window to the small Venice). Aside from the unexpected and picturesque canal view, you'll also find some of Bologna's best restaurants here too. The world's oldest university houses one of the most interesting ampitheatres known as the Archiginnasio anatomical theatre. Bologna medical students in the 15th century observed the dissection of human cadavers in what is believed to be the first learning classroom theatre of its kind. Be sure and download the free audio guide before you go, and bring a wider lens for pictures if you can! Seeing Bologna on two wheels is one of the best ways to get a feel for the areas you'd like to discover more, and see much more than you ever will on foot. Taking an organized bicycle tour with a knowledgable guide will be some of the most fun you'll have here. The Dynamo bike centre along Via dell’Indipendenza runs a 2-hour guided bike tour that's a great bike tour and history lesson all in one. 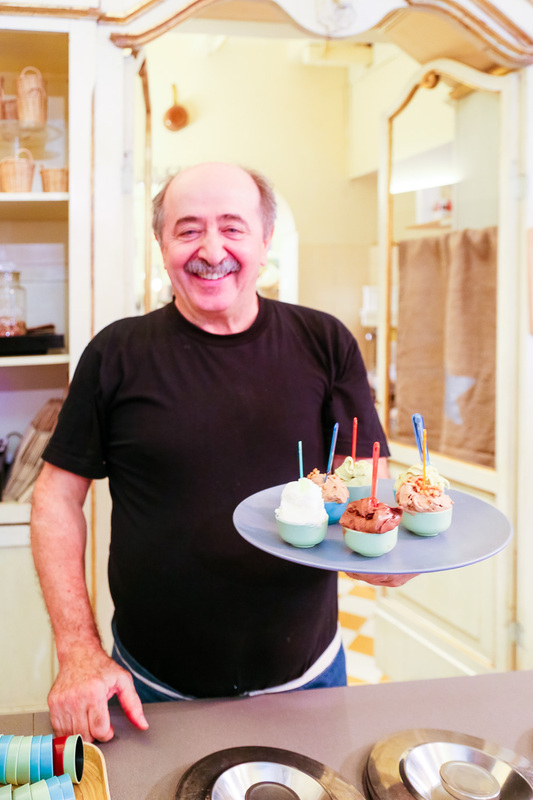 This 2-hour Bike Tour of Bologna adds a gelato stop in with it too — what could be better! If you're longing for some green space, Parco Giardini Margherita is the largest and most popular urban park in the city. Walk south on any through-street from the historic center, cross the highway and enter the gorgeous wrought iron gates to the Park. There are multiple walking or running paths that cover the 26 hectares, paved paths around a small lake, and several cafes. During warmer months, one of the most famous places to relax with food and wine is The Greenhouse, a bar set among several restored flower greenhouses. Most nights, you'll enjoy live music, poetry readings, and lectures. Italian food is popular around the world, though each region of Italy has its own unique specialties. But even amongst Italians, Bologna and Emilia Romagna is known for producing and creating some of the most delicious food dishes in all of Italy! And like anywhere in the world, some food choices (horse meat, for example) are unique and not necessarily agreeable to everyone. So what food is Bologna known for? Here are just five favorite Bologna delicacies, although there are many more must-try Bologna foods. The Trifecta - Parmiggiano reggiano, Prosciutto and Mortadella. Emilia Romagna is an area with excellent cold meats and cheeses. Parmiggiano reggiano and prosciutto is made right here in the region under strict DOP guidelines, and mortadella is the famous garlicky concoction that’s like bologna on steroids, in the best way possible! Wine – The “terroir” (soil) of Emilia Romagna is perfect for producing red Lambrusco wine and Pinoletto, a slightly fizzy (frizzante) white wine. These are just some of the traditional wines made here, and you’ll enjoy getting to know them all! Pasta “alla ragú” – the traditional Bolognese meat sauce, known in Italian as “alla ragú”. Your idea of Pasta with Meat Sauce doesn’t stand a chance! Tortellini en brodo – Tortellini is the typical pasta of Bologna, little meat- or cheese-filled pasta purses, and the traditional way of enjoying them is en brodo, in broth. Simple and delicious! Lasagne - I honestly hated (yes, hated) lasagne before I came to Bologna! I grew up in an Italian American family, but really dislike the American version of lasagne with its dry baked noodles, never enough sauce, and gritty ricotta cheese. Bolognese lasagne is unique, made with spinach noodles (traditional) and creamy bescamel sauce. Please try it. Your life may be changed forever for lasagne! Balsamic di Modena - Finally, if you taste nothing else in Bologna, be sure and try authentic Balsamic di Modena, one of the regions' most renowned foods. So much time and care goes into the making of balsamic it needed an entire photo tour, and its production makes for one of the best food tours in Bologna (see the Italian Days Food Experience below). Suffice it to say it's the farthest thing from vinegar that you'll ever taste. Delicious on everything - especially cheese and gelato - authentic balsamic is a foodie's liquid gold! 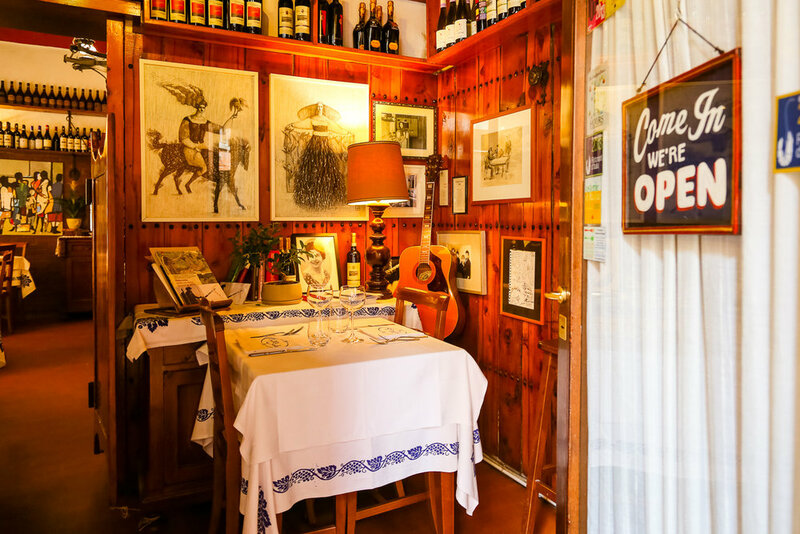 There are so many great places to eat in Bologna, from local family restaurants to high-end gastronomic dining experiences. You really can't go wrong! Here are 3 of my favorites places you can visit all in one day - starting your day with coffee drinks at Aroma Cafe, a pasta lunch at Sfoglia Rina, awesome gelato at Cremeria Santo Stefano, and for dinner - the excellent Trattoria Serghei! While there’s plenty to see and do in Bologna and Emilia Romagna, Bologna is just one hour from two of Italy’s most-visited cities: Venice and Florence. That’s worth noting because most people don’t realize the close proximity Bologna as to both of these cities, yet is largely under-visited by comparison. Both Florence and Venice are easily accessible by train, and make good day trips from Bologna if you need a change of scenery. Hotel Touring - Centrally located in the historic centre down a quiet street is the Hotel Touring, a family-owned and operated hotel with a homey feel, but one of its best features is a panoramic rooftop terrace. Simple, ultra comfortable, and just a few minutes’ walk from Piazza Maggiore. Check prices and details. Portici Hotel - If you're looking for modern elegance, Portici Hotel is a good choice. Located within walking distance to the city center near the University, one of the best parts about staying here are the cooking classes through Bottega Portici! Check out the latest rates and more details. Hotel Corona d'Oro - The city's only 4-star luxury is at the Hotel Corona d'Oro, super close to the Piazza Maggiore. Get the latest prices and details. Hotel Novecento - This Viennese-style hotel on Piazza Galileo has gorgeous contemporary rooms & suites with marble bathrooms. Some rooms also have outdoor terraces with great views! Check out the latest prices and details. Art Hotel Orologio - Simple, elegant, and generally under $100 USD/night, the Art Hotel Orologio is a great value in the heart of the city centre. Check out the best rates and more details. The Hotel Metropolitan is a great choice if you love chic elegance in a great location (just a few blocks from Piazza Maggiore), with a beautiful outdoor space. Check out the latest prices and more details. Thinking of adding some new Italian places to your bucket list? Let me offer you some cinematic inspiration with movies you should watch before you go. 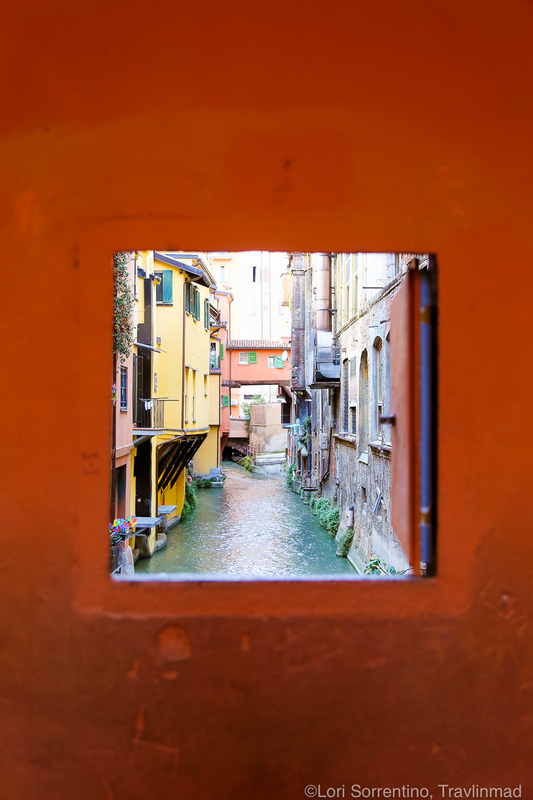 And for a truly authentic view of Italy, make sure Bologna is on your list. Everything you're hearing about it is true! Have you been to Bologna, and love it as much as we do?